Rose Gold Wedding Ring Designer Pattern Motum. 5 or 6mm wide Motum Patterned Court Diamond Wedding Ring. Five 1pt diamonds set at the end of five polished grooves that travel half way around the ring, with a matt finish. 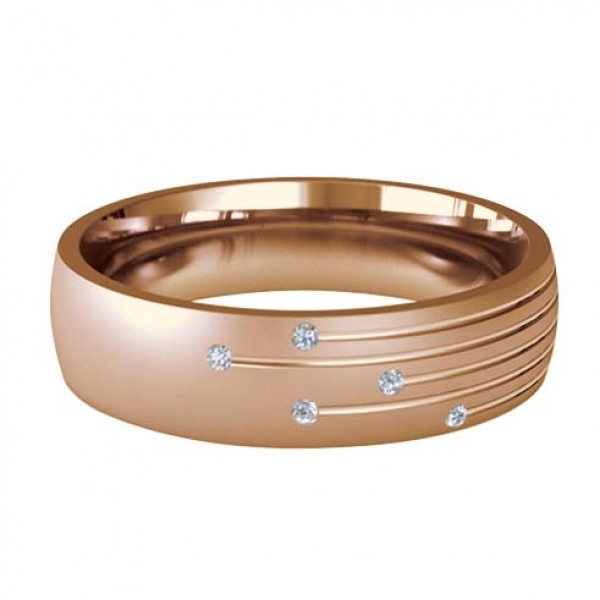 We also have a complete range of rose gold wedding rings.